Whomp whomp. 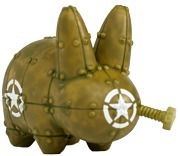 There're no Army Mecha Labbits for sale. Their stare is the only one of its kind in Dallas . The staff is friendly and knowledgeable about all of the products. The even carry local art which I think is awesome.